Why Should You Use Custom Truck Wraps Advertising? 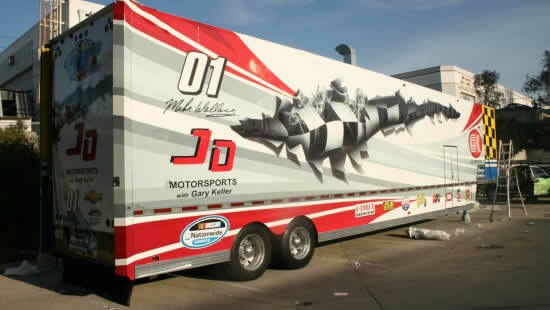 Custom truck wraps are a very effective strategy for marketing. It is a form of advertising that is sure to get you more band for your buck. Wondering why? Well, the answer is with truck or other custom truck wraps, you need to invest just once and then your business will keep on getting exposure for as long as the vehicle is used. Great, isn't it? Just one time investment and an indefinite period of advertisement. Are you thinking that the ad may wear out? Do not worry because such ads stay absolutely intact for at least 5 years on an average, meaning your investment will continue paying you for the next five years at least. Advertising on vehicles also makes a great first impression, striking the mind of your target audience like you want. In fact, it is one of the best ways to have a memorable ad campaign for spreading the message of your business. A giant custom truck wrap is bound to attract the attention of each and every passer by. They may not pay much attention to a regular truck passing, but whenever it has a well-designed, bright and colorful advertisement attached to it, people are bound to notice it and not forget it soon. Depending on how many vehicles you have decided to advertise on, and how often they travel and how far, you can take your product or services to innumerable number of people every month. In fact, custom truck wraps is one form of marketing that can take your business to the widest base of audience, than any form of marketing can do. Research says that businesses often get more customers than they manage to do from their own sites. 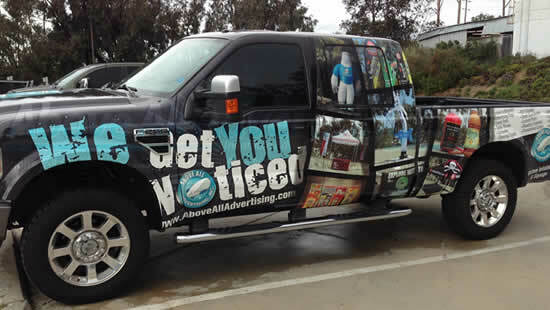 Unlike print and radio advertisements, custom truck wrap ads do not create any disturbance in attracting attention. It allows potential customers to spot your ad without any significant distraction from what they were already doing. Consumers have been found to respond better to ads that does not have an 'in-your-face' approach. People often like striking vehicle advertisements and do not mind the ads in any way. Truck wrap ads goes into the view of your potential customers, rather than waiting for them to notice your advertisement, as it happens in newspapers and TV commercials. So, with these ads you can non-intrusively, reach out to consumers on the roads. You can say that the benefits of mobile exposure are almost endless. Unlike in case of billboards that have consistent recurring costs for as long as your market, custom truck wraps involve only one-time investment and the benefits can be enjoyed for as long as the vehicle is working. Custom truck wraps are more targeted because you are advertising for a local market. The people who view your ads are mostly the people of your area. Hence, you get to narrow down your marketing to your locality, thus, making more business there. 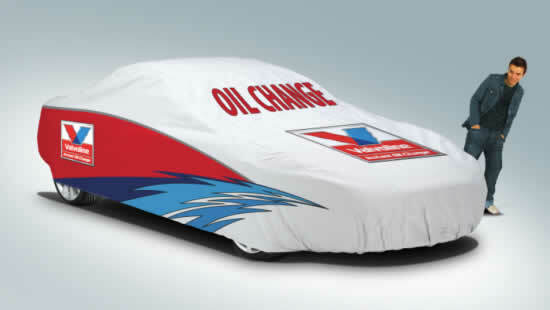 Custom truck wraps for services, sales and delivery vehicles are indeed, very powerful marketing and branding tools.